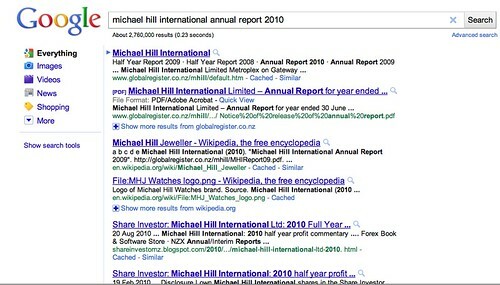 Michael Hill International’s website requires Silverlight. I was trying to find their annual report. They have shares which one could buy. A quick search shows nothing from MHJ (aside from the dead homepage) appears on Google. This is appalling for investors and customers both. Most romantic people go to the MH website to look for sparkling gifts…. No – I am not going to buy your wife a diamond ring.